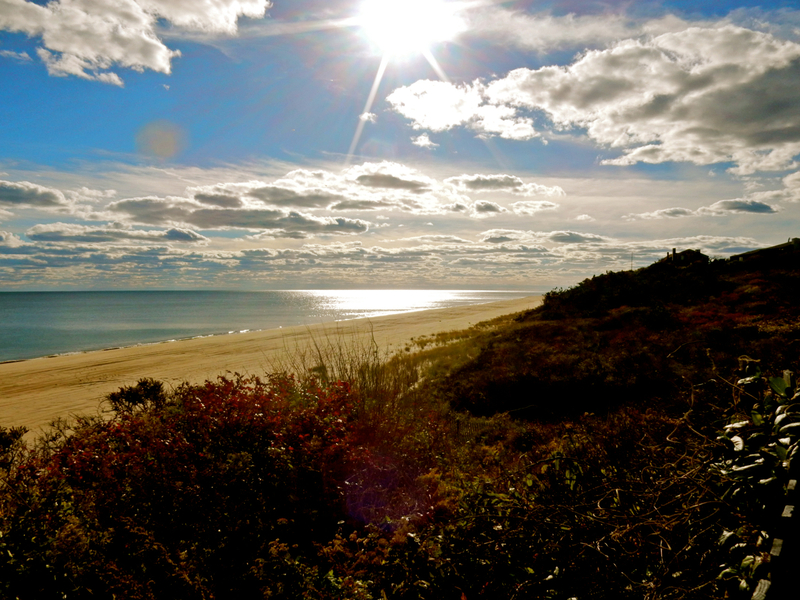 WHY GO: Montauk NY sits at the extreme East End of Long Island, jutting into the Atlantic Ocean. Walk west toward Manhattan (118 miles away) along its wide, sandy beaches and you’ll get to the Hamptons, a much swankier, and better known series of towns. 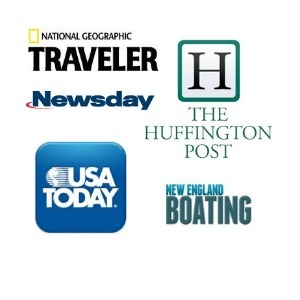 Lately, Hampton types have been making waves outside of their exclusive compounds, swarming farther out on Long Island, and bringing a delirious party-hearty vibe to Montauk – the quiet, end-of-land, fishing-charter, non-trendy beach town for the generally not-so-rich. 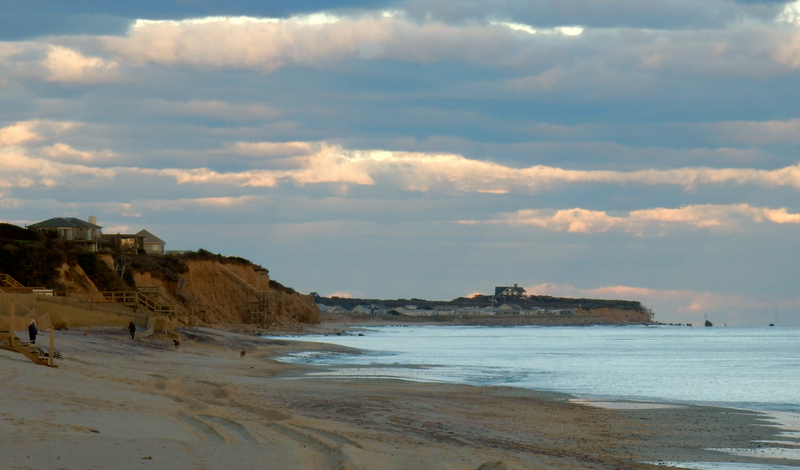 Locals are split on this new development (money and attention good, puking and peeing, not so much), but there’s no question that Montauk is worth visiting to experience one of the most sublime landscapes on earth. 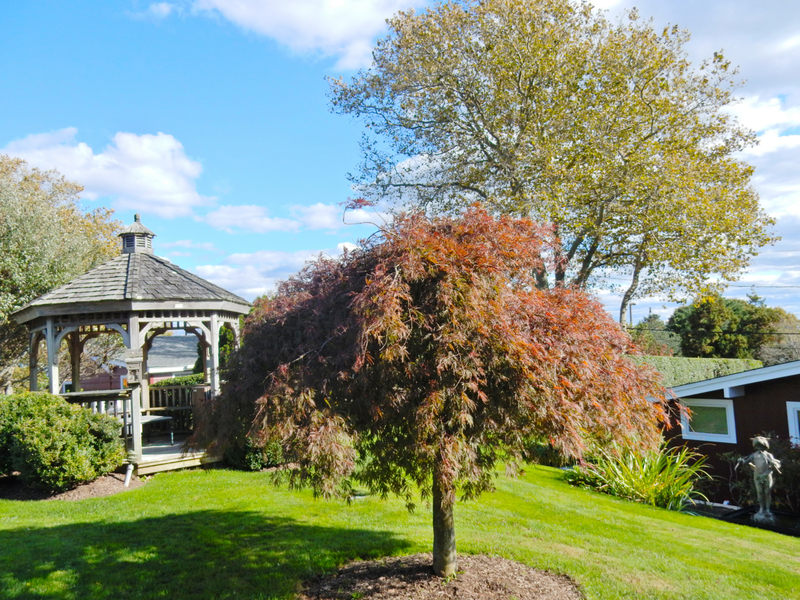 Soft sand, tangled woods and a promontory overlooking three US States (NY, CT, RI) render a getaway here one of the most relaxing and Zen-tranquil you’ll ever find, providing you come off season. Go beachcombing, play golf at one of America’s Top 50 Public Courses (a State Park! 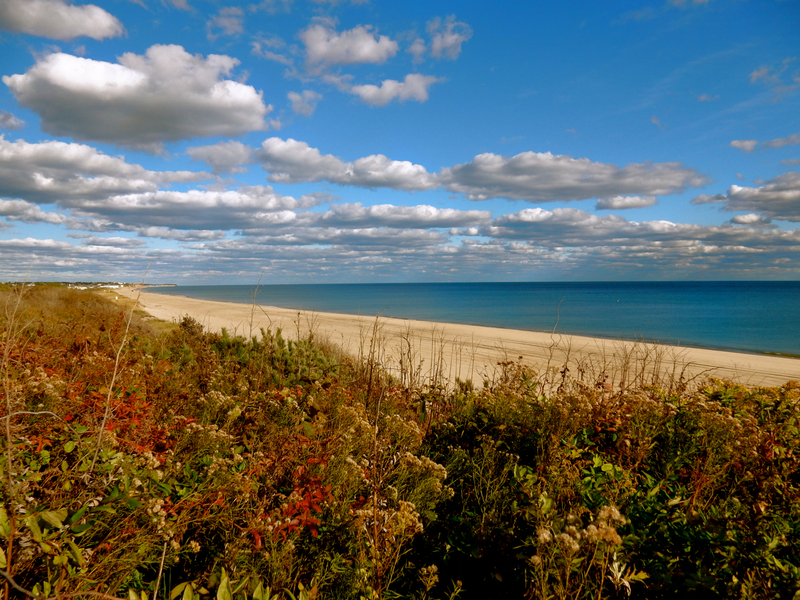 ), wander miles of oceanfront and forest, and discover a tiny Japanese Garden of a motel, tucked away from the maddening crowds on this Montauk NY getaway. BEACH IT: Hither Hills State Park. A couple of miles west of town, this State Park beach has concessions, changing areas and RV Campsites. In season, it’s busy here, but not as crowded as the beaches downtown. $10 per car entry fee. 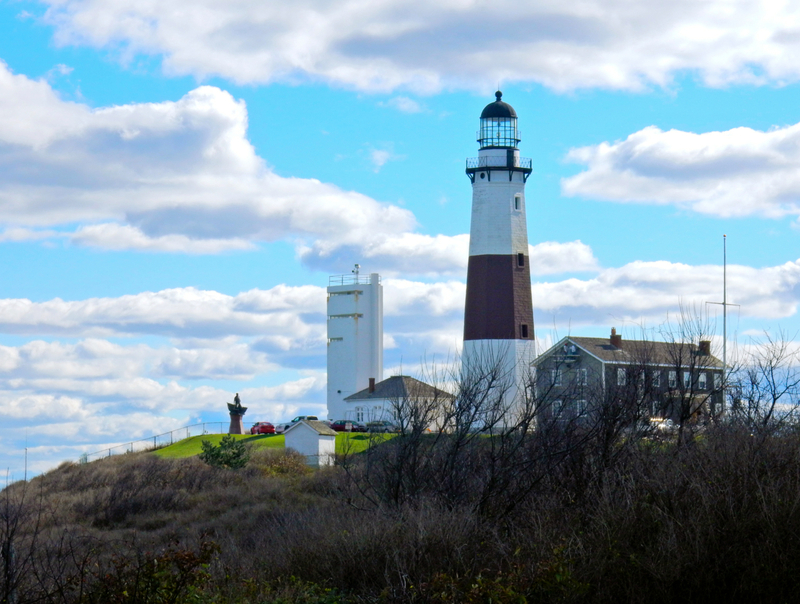 VISIT/FISH: Montauk Lighthouse at Montauk Point State Park. 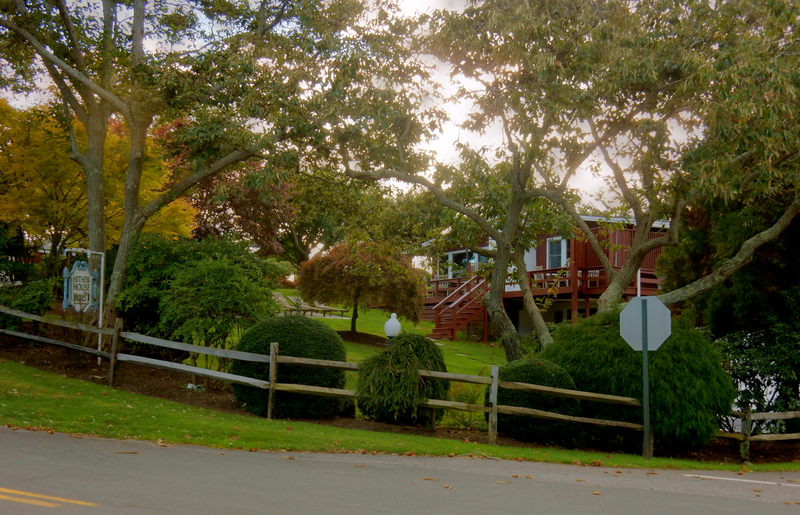 It’s way, way out – 6.5 miles out of town – to the very endpoint of land on Long Island. 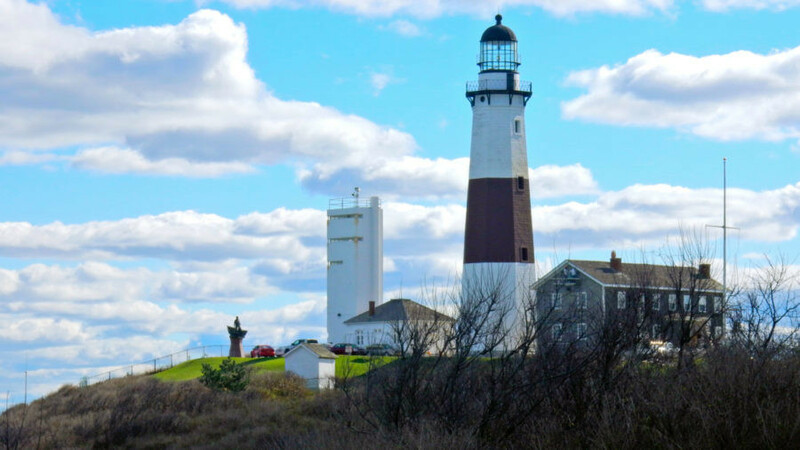 On the Historic Register, the Montauk Lighthouse was authorized by President George Washington and built in 1797. Climb to the tower and gaze out on 360-degree views of Block Island Sound and the Atlantic Ocean. 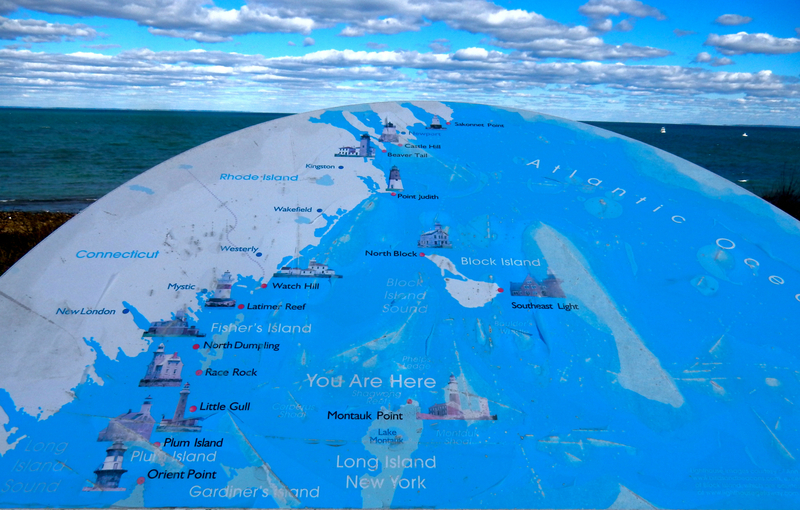 Montauk Point Park itself has a restaurant, viewing platform and beaches that have been deemed The Surfcasting Capital of the World. Lighthouse open daily June-mid October, 10:30-5:30 (7pm some nights in summer), $10 adults. State Park parking $8 per car. 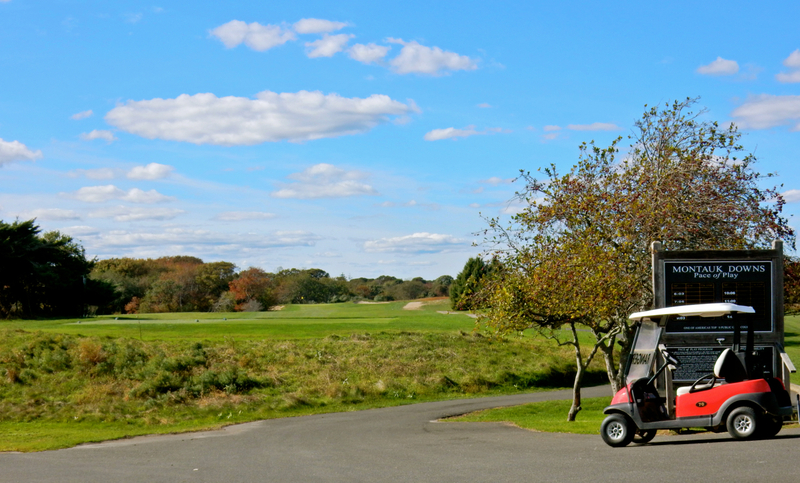 GOLF: Montauk Downs State Park. Yes, a premier golf course in a State Park! In fact, Montauk Downs, designed in 1927 by Robert Trent Jones and purchase by the State Park system in 1980, has been named One of America’s Top 50 Golf Courses. Green fees for NY Residents, $43/$48 weekday/weekend, non-NY residents $86/$96. Cart rental $20. 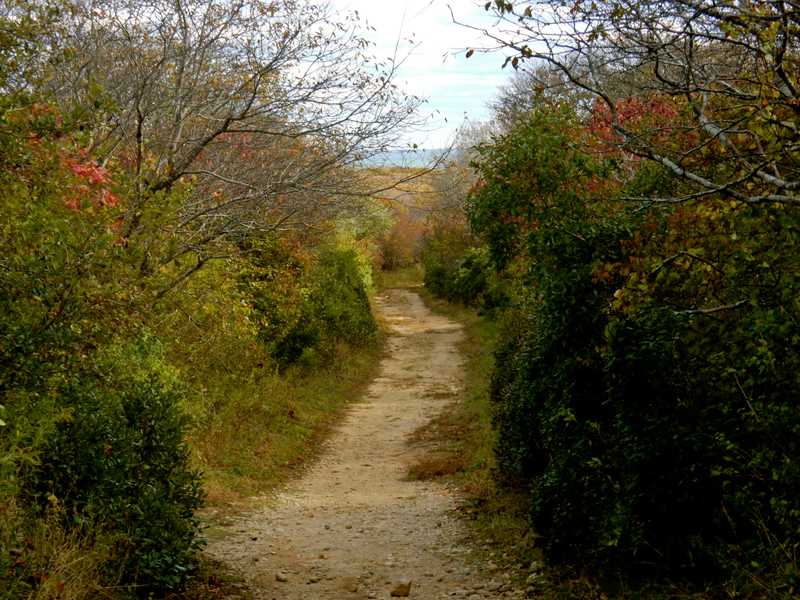 HIKE: Shadmoor State Park. Hike out to the bluffs (and down to 2,400 feet of Ocean Beach) through freshwater wetlands at this 99-acre State Park opened in 2000. Formerly a WWII military outpost, you’ll likely pass two bunkers, once equipped with artillery, that have been left in place there. Parking free. VISIT: Montauk Indian Museum. 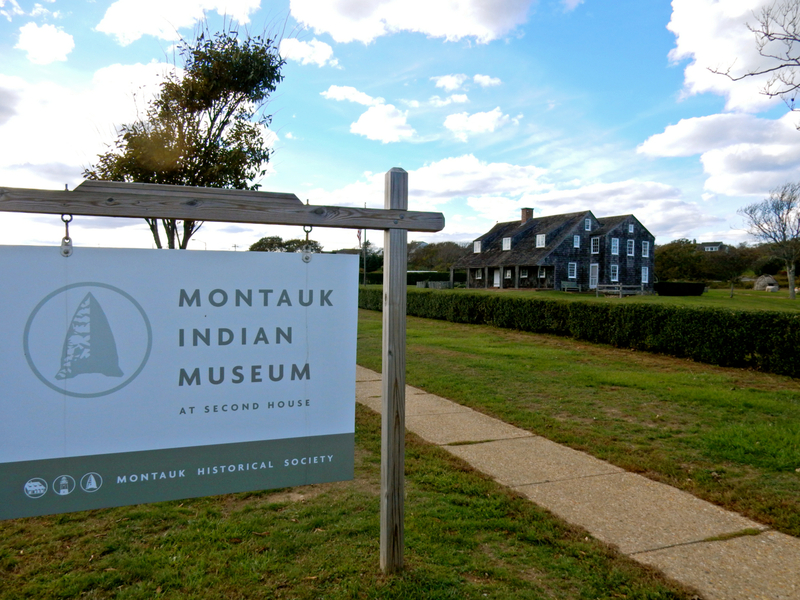 This museum, under the auspices of the Montauk Historical Society, is dedicated to preserving the history of the Montauk Indians who lived on this land. Open Thurs-Sun 12-3. SHOP/OLD SCHOOL: Montauk Corner Store. 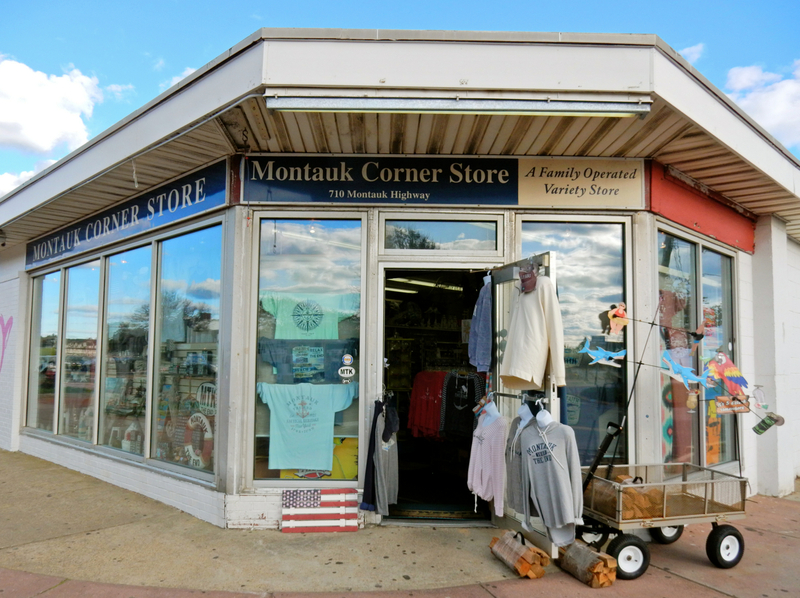 A little bit souvenir shop, a little bit pharmacy, this variety store has most of what you need right on the main drag – Montauk Highway. SHOP/DESIGNER: Cynthia Rowley. 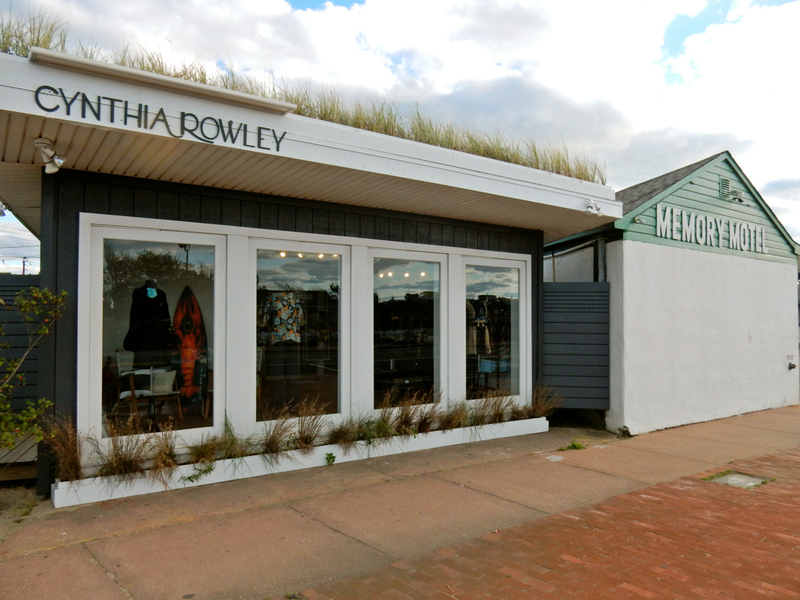 The juxtaposition of ritzy clothing designer, Rowley, with the adjacent somewhat dumpy Memory Motel (inspiration for the Rolling Stone’s song of the same name after Jagger and his band spent time in Montauk) pretty much sums up the highbrow and lowbrow aspects of the town these days. SHOP: Downtown – Homeport Town and Shine are both great bets for fun and funky gifts. 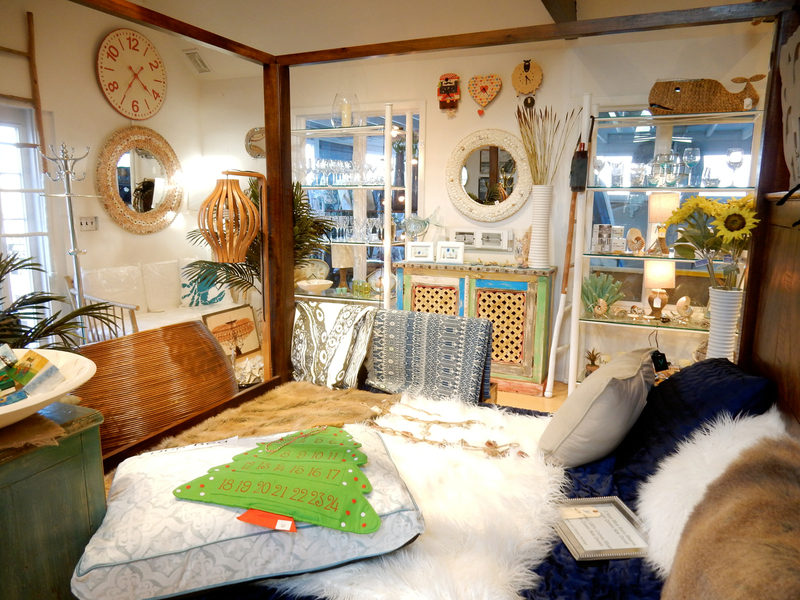 You’ll find several other fine establishments at Gosman’s Dock, including a wonderful collection of unique home goods at Homeport flagship store. 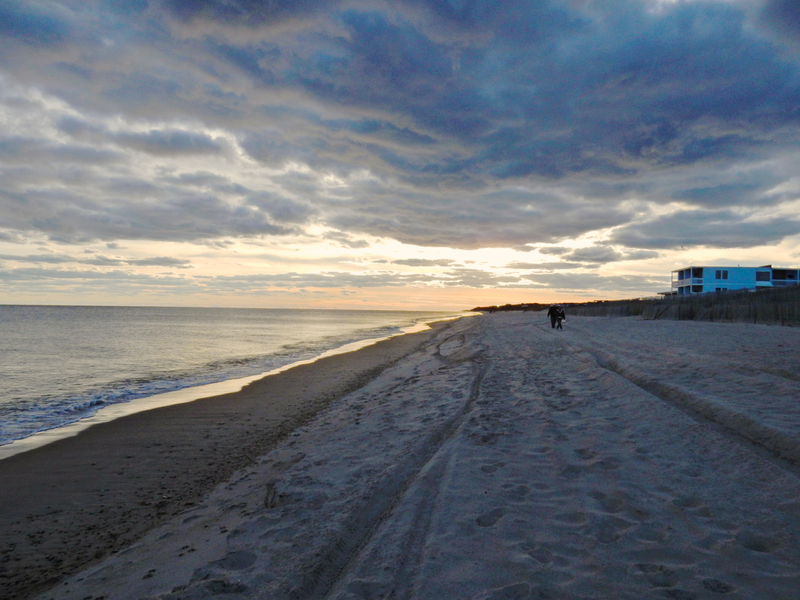 WATCH SUNSET: Montauk Beaches. Grab a spot of sand, or just walk and watch. Sunsets here are glorious, especially right before or after a storm when clouds are just clearing out. EAT: Shagwong Tavern. First opened in 1969, this was Montauk’s definitive “town bar” for decades, until it fell from favor. 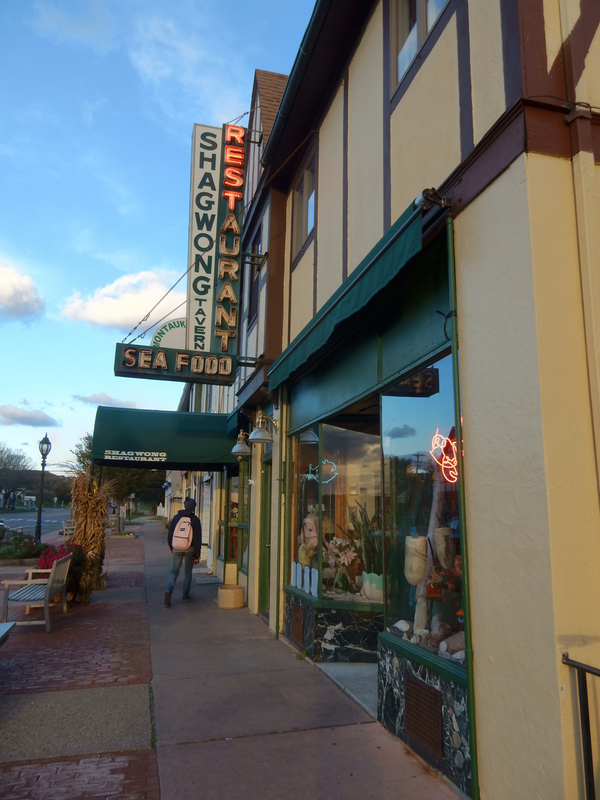 But fear not, Shagwongers: After a 2016 renovation and change of ownership, this dyed-in-wool old-timey Montauk institution has an updated interior (though same facade), a new menu and many of its old customers by the look of it. Upscale pub food, friendly service and great classics like the tasty Stuffed Clams are spot on and a good bet for an evening out. EAT/DRINK: The Dock Restaurant. 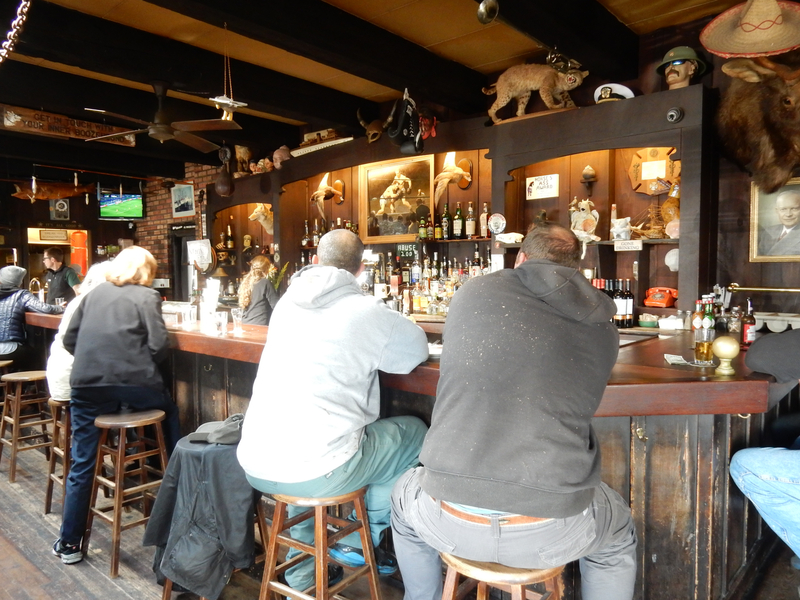 It’s as old school as it gets – basically a dive bar with good pub food and irreverent signage. 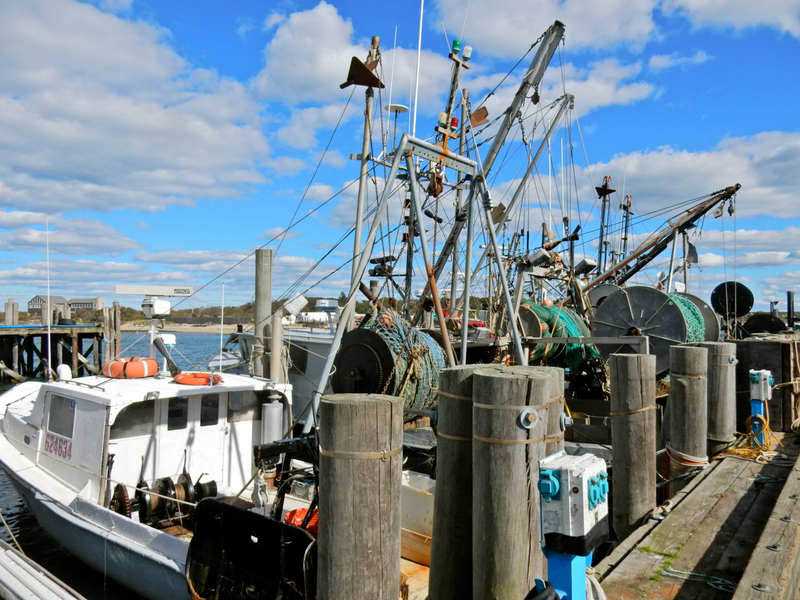 Located just off a commercial fishing dock, you’ll likely share stories with folks straight in from the catch. 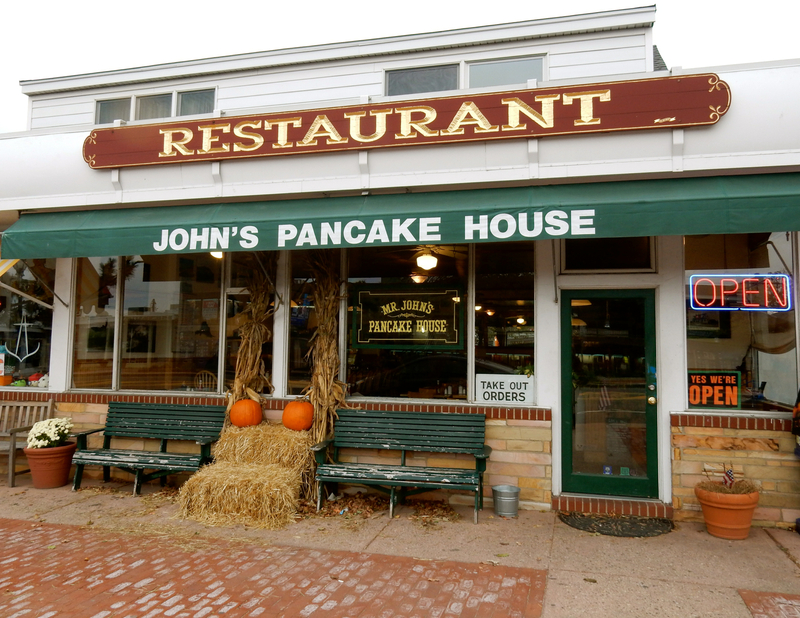 EAT/BREAKFAST: John’s Pancake House. You get three buttermilk pancakes the size of dinner plates and swear you won’t eat it all. Don’t swear. That’s all I’m saying. No wonder this place still gets hours long lines out the door in season. Off season, you can have it all to yourself. Cash Only. STAY: Hither House Cottages. If you’re looking for the “next big thing,” or a cool hipster boutique hotel in Montauk, Hither House most likely won’t be on your radar. It’s been around for a generation, it’s not directly on the water, and it’s very, very reasonably priced for the area. What is does have is beauty and tranquility, and remains a no-scenester zone. The first thing that strikes most visitors to this three-blocks-off-beach-on-a-hill collection of cottages is the remarkable landscaping. 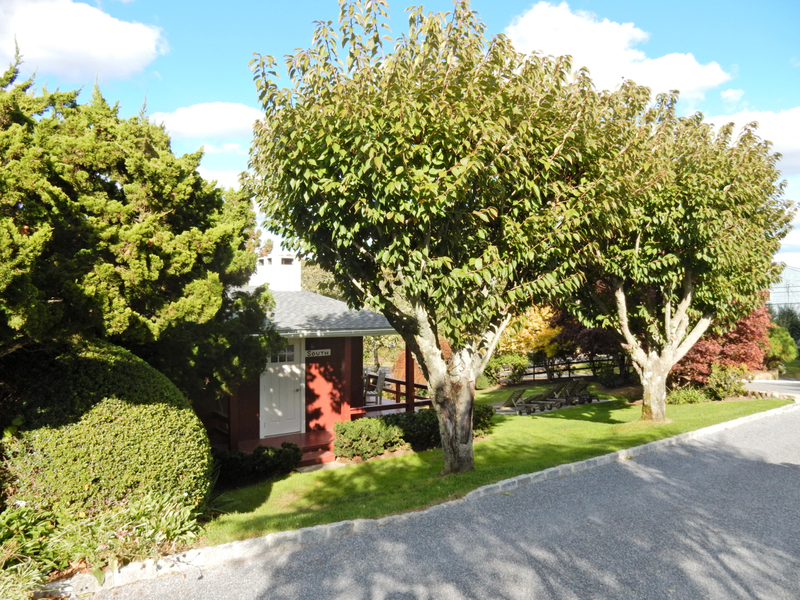 Pulling into the drive, you feel as if you have somehow stumbled into a stunning Japanese-English garden. There are nine private units, complete with kitchens; most shaded by old growth trees and kept up beautifully. 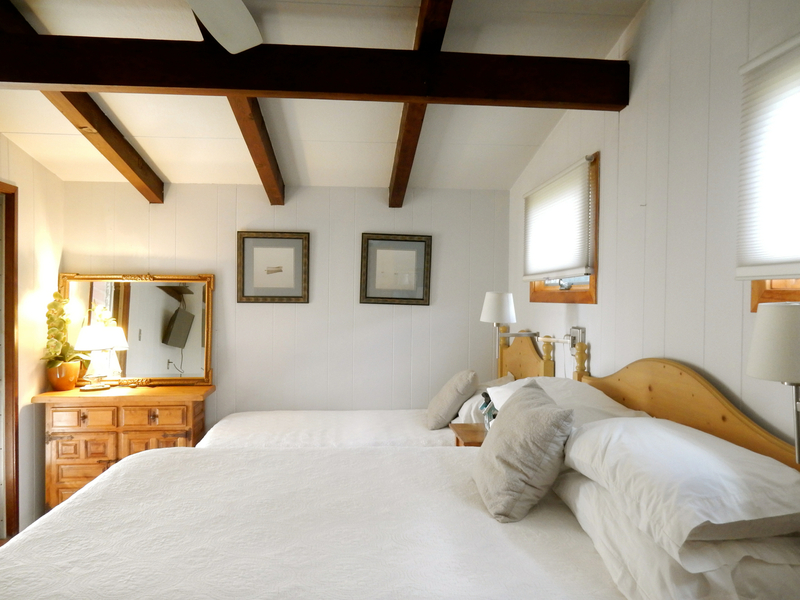 Each cottage features teak chaise loungers on the lawn, outdoor showers, and of course all the modern comforts of home – TVs with HBO, fast wi-fi, and dedicated parking spots. Cottages are eclectically furnished, some with wood paneling, others whitewashed walls, terra cotta tile floors, futons (great for pups), in a kind of immaculate but lived in house-by-the-beach decor. Hither House has its own Atlantic Ocean beachfront – a 5 minute walk downhill through a tidy upscale neighborhood. Owner, Wen Gamba, provides guests with towels and beach parking permits. It’s the best of both worlds for Baby Boomers, families, and others with pets who like the idea of a beach getaway but would rather stay in a quiet, less crowded enclave. Downtown shops and restaurants are a mere two miles away. Gamba takes great care to renovate, repair and update when needed. Many of her guests, including the four-footed kind (yes, Hither House is dog-friendly) are repeat customers. Rates per night range from $105 offseason for efficiency apartment to $365 for a one bedroom with living room on prime weekends. 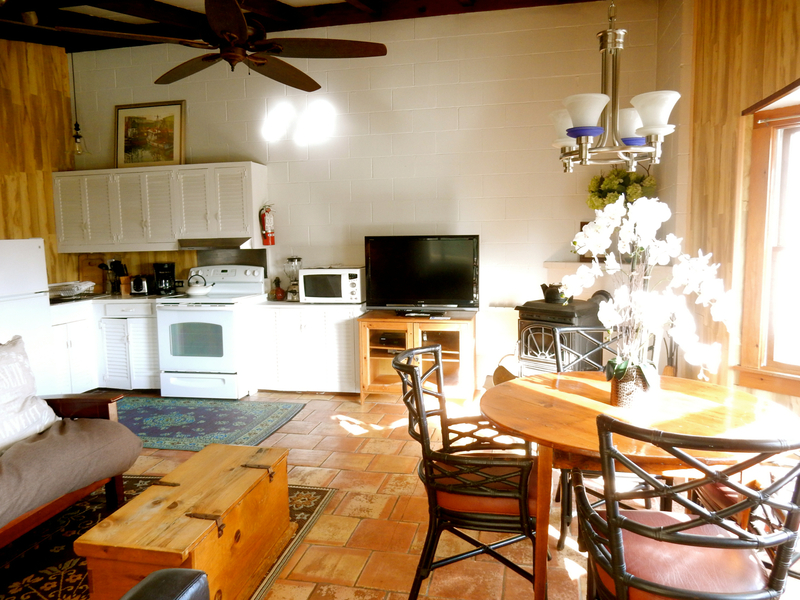 Two bedroom cottage from $275-$530 per night. Additional pet fee $25 per night. 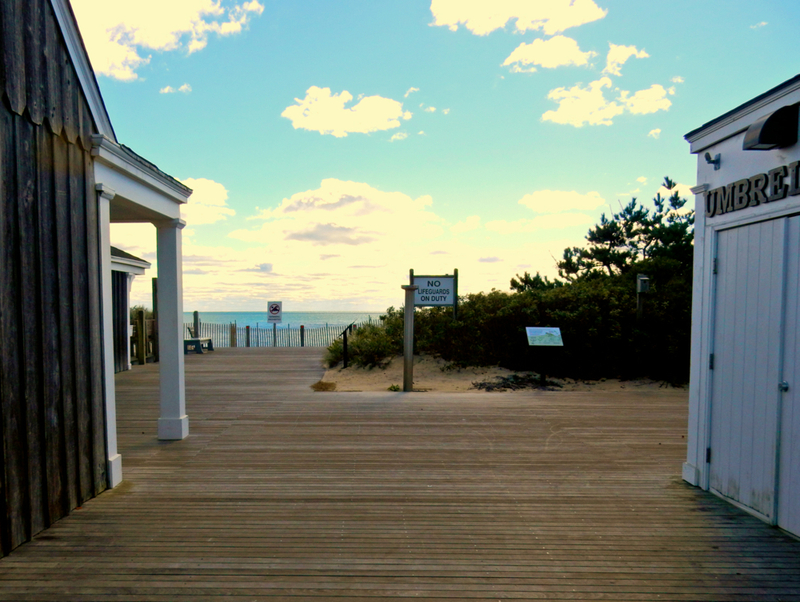 STAY: There are dozens of hotels, motels and establishments on the beach and off in Montauk. Those with deep pockets who want to be right on the ocean, and don’t mind being miles from downtown Montauk should look at the newly renovated Gurney’s Montauk Resort – which reopened in 2015 after a long gut renovation.